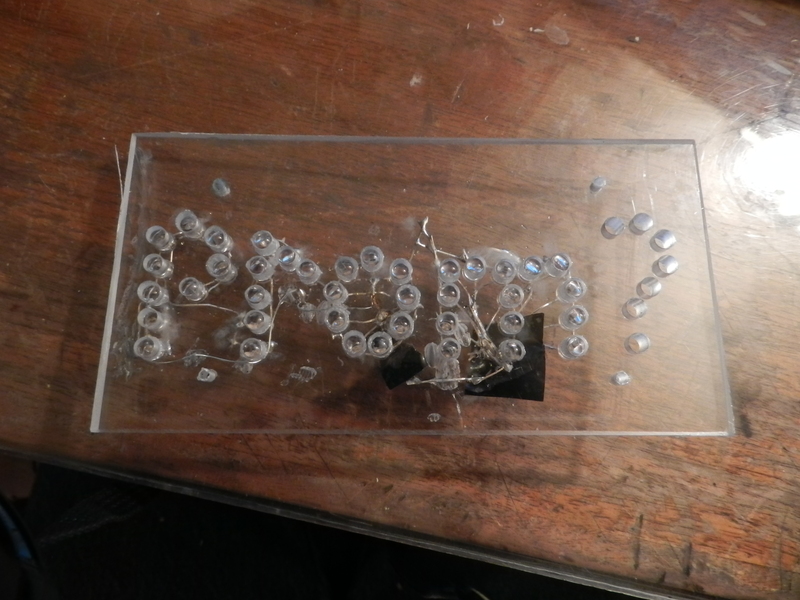 How does one go about asking a crush to a Junior Prom? I wanted to do something that was memorable, impressive, and certainly one-of-a-kind. 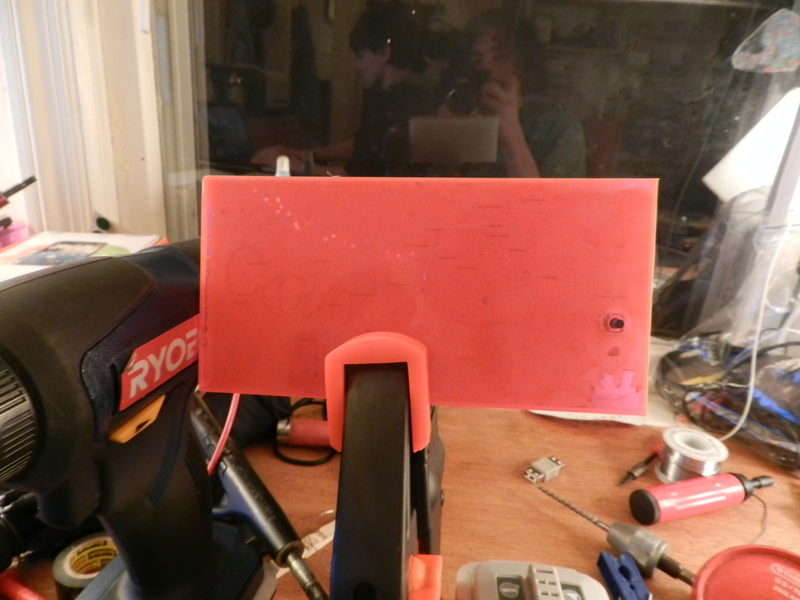 With a basic criteria in mind, I knew I would need my Pink 1/8th acrylic sheeting, some 10-32 bolts, a nice chunk of high density polyethylene from a cutting board, a momentary contact switch, battery holder, and most importantly; around 40 green LEDs. What exactly does one concoct with this pile of materials? Well, let me show you! 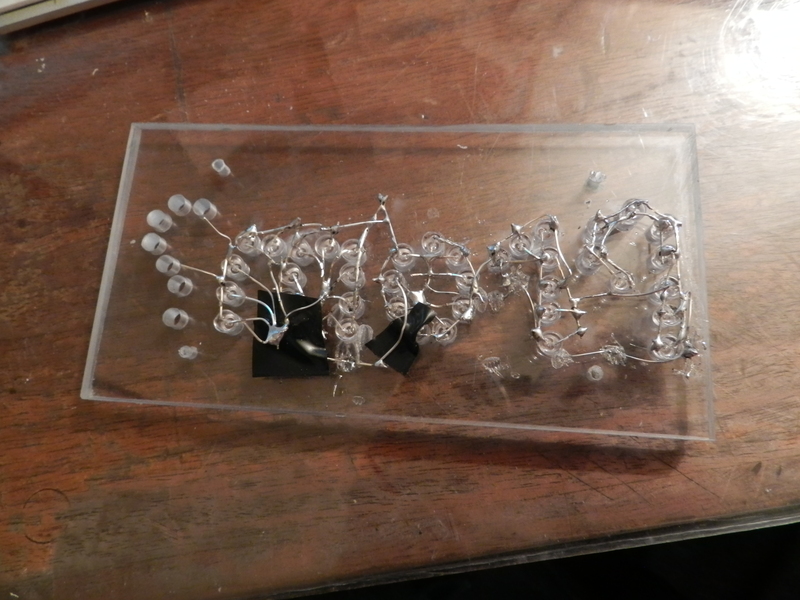 Next, I had to come up with a way to make my message a surprise for her, so I put a piece of printer paper in front of it, sandwiching that between polycarbonate and tinted acrylic. 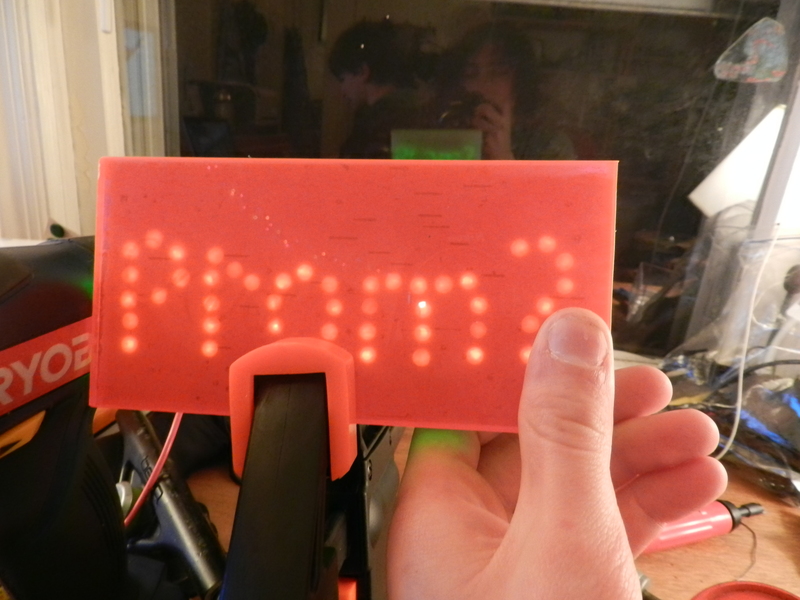 But the idea of that actually working was just speculative, I had no actual idea of whether or not the lighting would still shine through, so I naturally yanked the 3v battery from my phone and tested my invitation out. I hope you liked this! Maybe this will give some of you good inspiration.